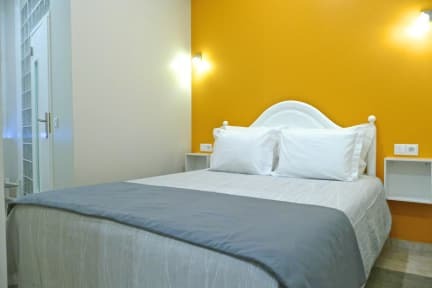 We also have the facilities of a bar and laundry service. Should you wish to sit back and relax, our lounge area offers you a wide variety of videos, allowing you a vast selection. We have alarm connected to the reception in all bathrooms and even the security system and detection of fire in the building. BREAKFAST / for your best accommodation, we inform that is located below the Guest House one coffee shop where you can have this meal quietly and at a very good price.